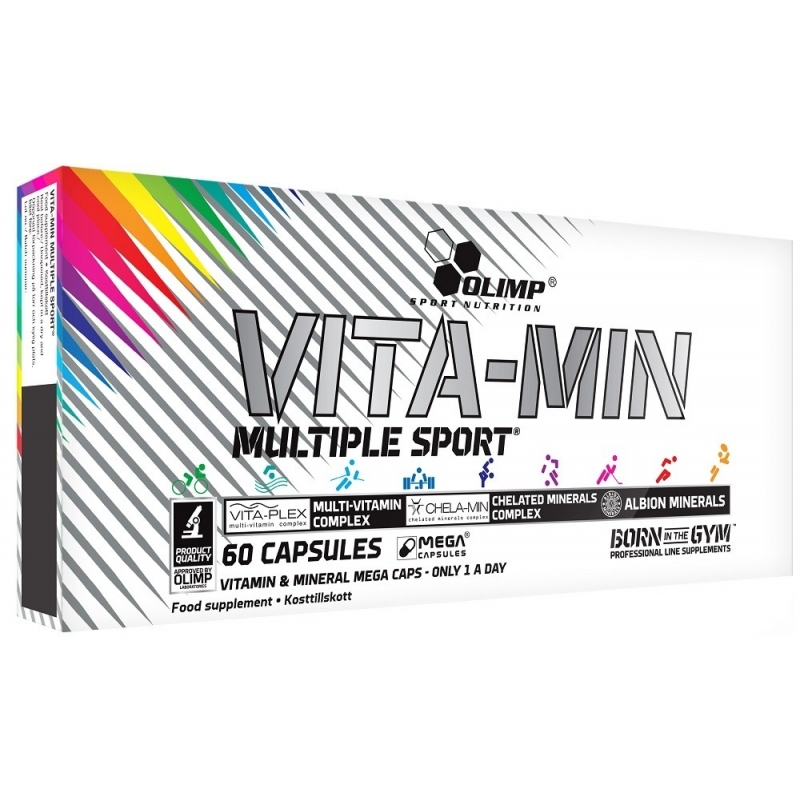 OLIMP VITA-MIN MULTIPLE SPORT™is a complex composition of vitamins, with supplemental herbal extracts (Vita-Plex Sport®) and the highest quality easily absorbable minerals in the form of amino acid chelates, licenced by ALBION company (Chela-Min Sport®). Such a combination facilitates the coverage of the basic requirements of essential nutrients for the body under intense physical stress. For an athlete’s body, food is primarily the source of building materials (proteins) and energy (sugars and fats). 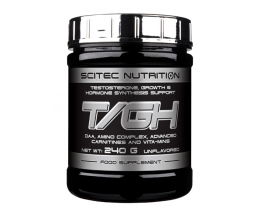 Nevertheless, in addition to these three basic nutrients, we find the whole range of other micronutrients in food - vitamins, minerals and substances with a vitamin-like action - which are necessary in small quantities for the normal functioning of all vital processes, especially those associated with adaptation to physical exertion and development of sporting performance. Chelating minerals is the very important process of binding metallic elements by weak organic acids, e.g. 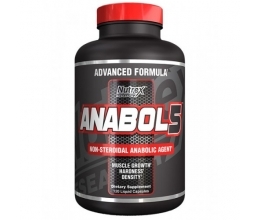 amino acids, enabling successful absorption of elements from the gastrointestinal tract and their distribution to the vital processes in which they participate. Minerals from simple inorganic compounds are basically non-absorbable, and are absorbed only to the extent they are able to form chelates with components of concomitantly consumed food. In view of the above, the Chela-Min Sport® formula of Vita-min multiple Sport™ contains minerals in the form of amino acid chelates produced by the leader in the market of pharmaceutical raw materials - the American company – Albion®. - piperine (Bioperine®) from black pepper extract facilitates gastrointestinal absorption of all nutrients, including active ingredients of the product. 1 capsule of VITA–PLEX SPORT® and 1 capsule of CHELA-MIN SPORT® once daily after the main meal, drinking with large amount of water. The product is recommended to adults. Keep out of reach of children. Do not exceed the recommended daily dose. Food supplements should not be used as a substitute for a varied and balanced diet. A varied and balanced diet and a healthy lifestyle are recommended. Not suitable for pregnant, lactating women and children. Do not use other vitamin preparations at the same time you are using this product!